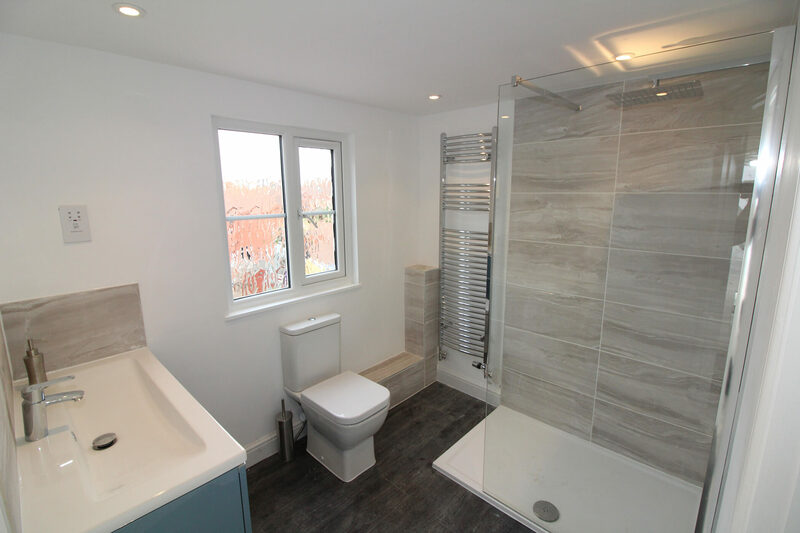 We were asked to convert this newly built house in the new Broughton housing estate. 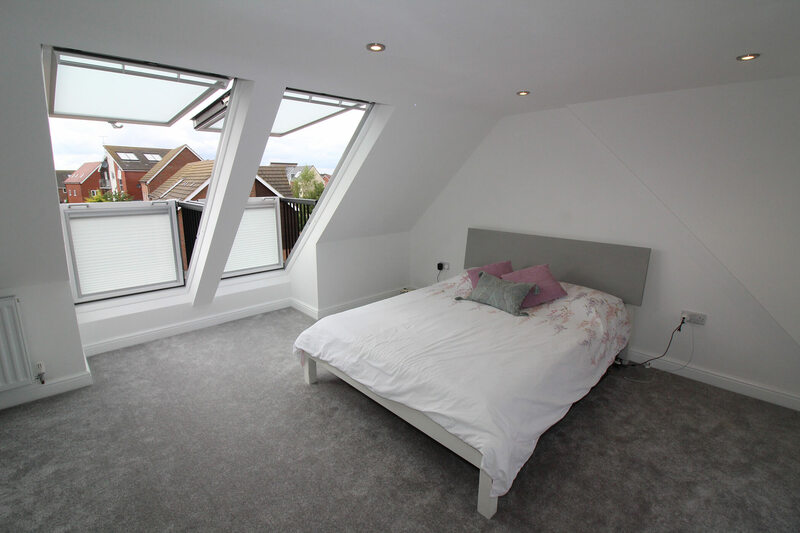 The house is an unusual shape being almost like a V. This brought a few headaches in the structural calculations, but working with the great team we have on board we were able to do it in a way that doesn’t compromise the space and head height. 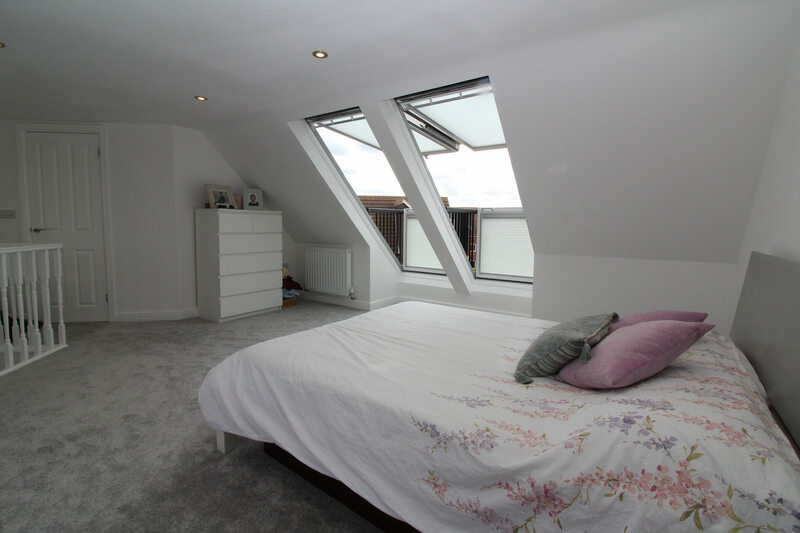 We were able to design the loft around a structural post that is hidden in a wall to allow for a open gallery bedroom area, along with keeping a doorway at the bottom of the stairs to comply with fire regulations. 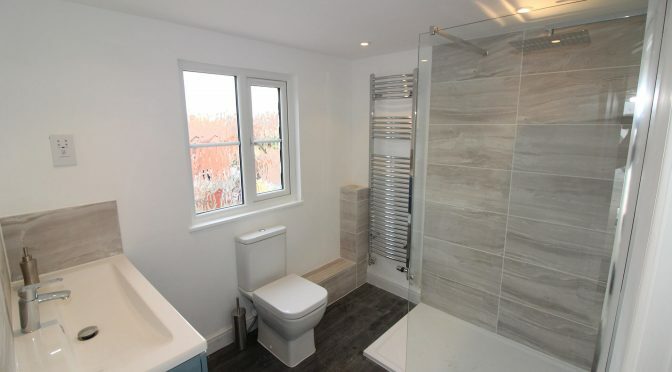 be able to work from home and a large bathroom with a double shower and large vanity unit for maximum storage. 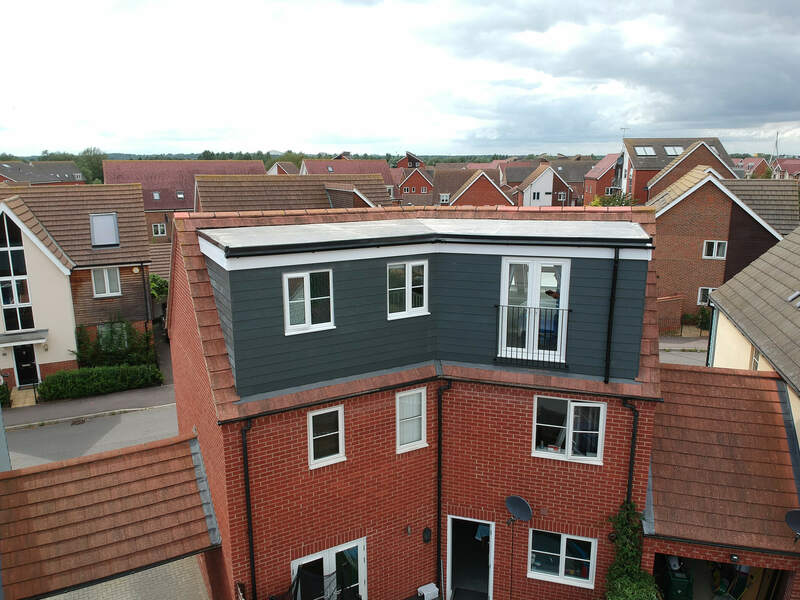 The rear dormer is finished in hardie plank cladding to match the area perfectly as this is widely used on new housing estates now, along with 2 UPVC windows and french doors the dormer looks in proportion to the roof and looks almost original. 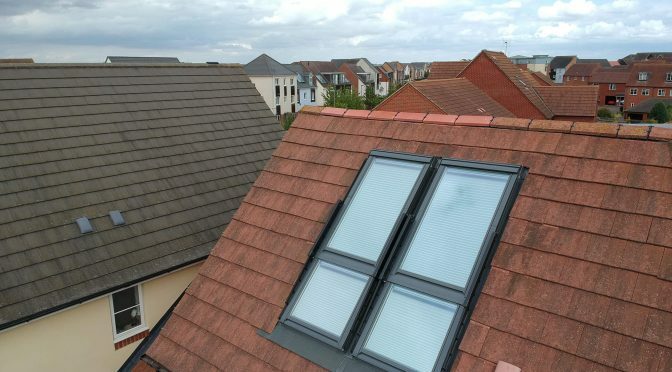 On the front roof we installed my favourite Velux item! 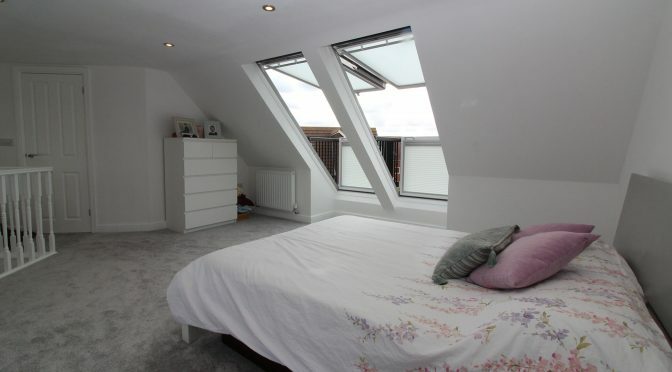 Double Velux Cabrio windows. 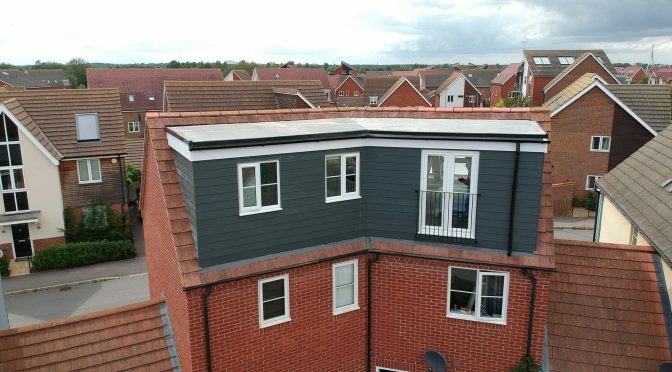 These are an amazing bit of kit and really make such a difference to any loft space let alone with two! 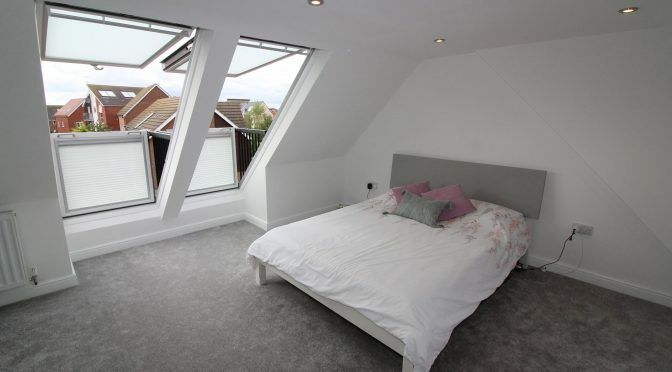 They are becoming more popular in loft conversions as they make the outside feel like an extension of the room. 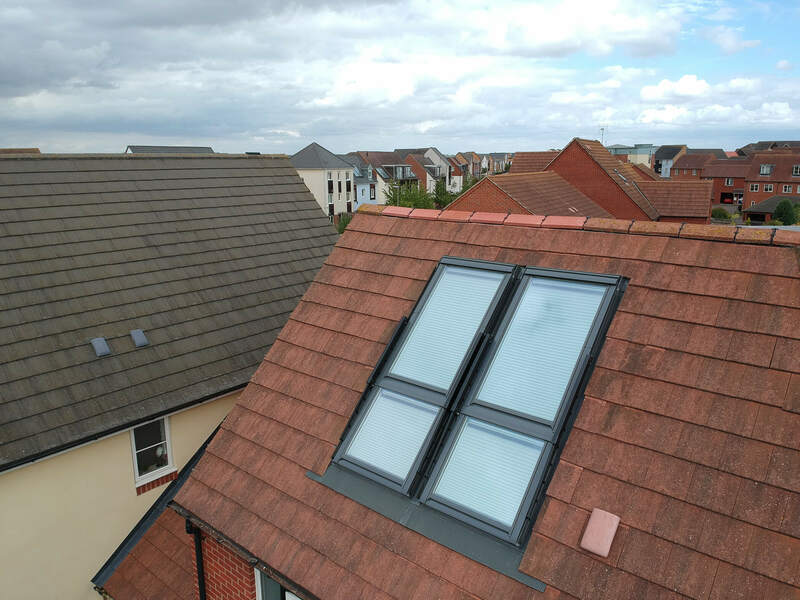 We have installed 6 of these Cabrio this year with another three planned. 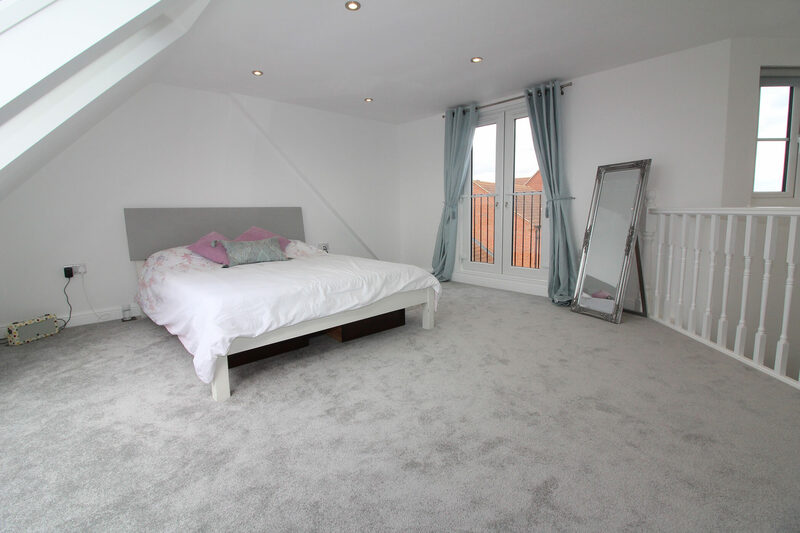 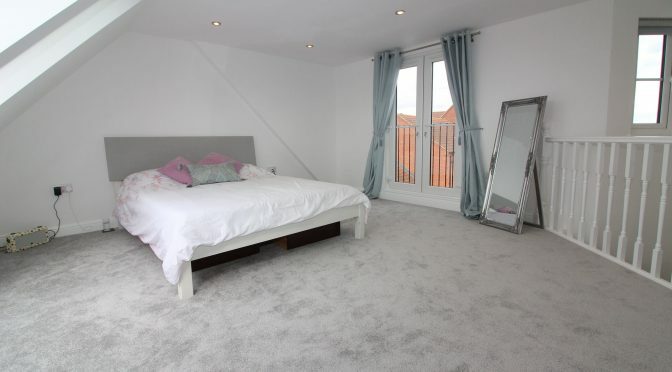 The clients loved their new master bedroom and it certainly had the WOW factor!